At the Photo Booth Expo in Las Vegas on Tuesday, Photo Party Upload released its coveted software Photo Booth Upload to the public for the first time ever. 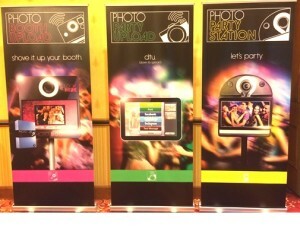 This is a huge shift for the company, as this software was previously only available by buying a full Photo Party Station leaving photographers with their own booths no access to the full range of activations that Photo Booth Upload offers. We were excited to announce this news earlier in the week and now that this software is out in the photo booth world, you may be asking – what’s so special about it? Photo Booth Upload was developed and fine-tuned using feedback from hundreds of photo booth owners, so it is a robust and intuitive piece of software. The front-facing interface is easy to navigate and the back-end is simple to personalize for your specific event. 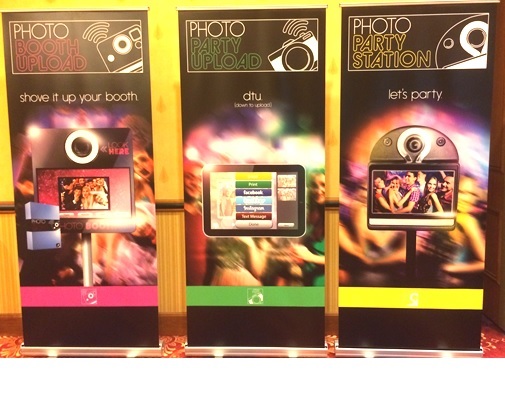 Once installed, Photo Booth Upload provides you with a versatile range of activations – including cutting-edge light painting and morphing technologies that no other photo booth software on the market offers. There are two sets of subscription options available for Photo Booth Upload: Basic and Pro. The Basic package includes Green Screen, Animated GIF, Photo Strips, Slide Show, and Facial Recognition, while the Pro adds in Light Painting, Morphing, Slow Motion Video and Credit Card Swipe ability. You can subscribe to either package weekly, annually or for life – your choice and all options come with free regular software updates and full customer support. Both packages are fully integrated into Social Media so not only do you get access a wide range of dynamic features, you can also share your creations instantly. Next time we’ll look at each feature in more detail and bring to life the full potential of this exciting, cutting-edge piece of software. In the meantime, go to photoboothupload.com for more information.